Quincycles is a group of Quincy residents advocating for bicycle infrastructure on our city streets and promoting responsible bicycling as a means of transportation, recreation, and exercise in Quincy. The group hosts group cycling rides and workshops in addition to hosting monthly meetings. The group is resident led and organized and encourages participation from bicyclists of all types: commuter or recreational, year-round or seasonal, in all types of weather or only on warm sunny days, long-distance or short-distance, every once-in-awhile or every single day. 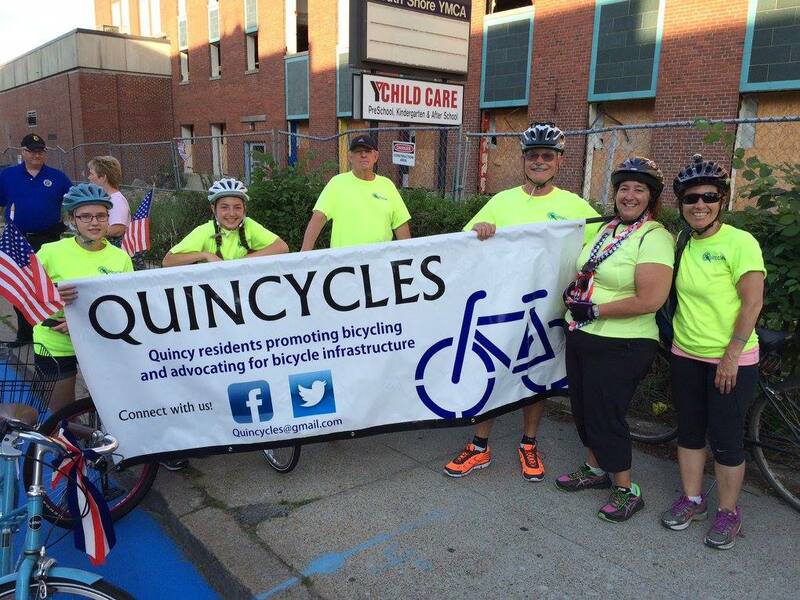 Quincycles works closely with the City of Quincy Mayor’s Bicycle Commission, established in May 2013 to identify issues of concern and safety for Quincy bicyclists.